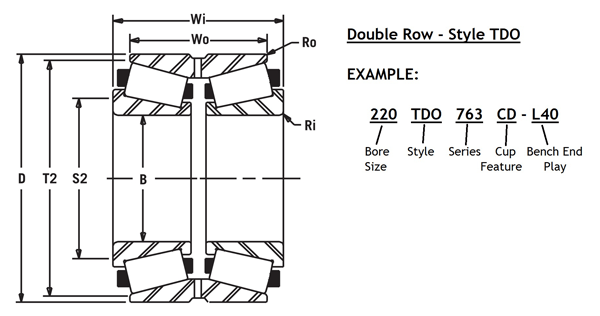 This is a two row Tapered Roller Bearing using a double-cup and having a 22.0000” bore size. By finding it by bore size in our tables, you will see that it has a 29.0000” O.D. and 6.5000” / 4.5000” wide. The “CD” indicates that the double-cup has one of its oil holes counter bored to accept a dowel pin. Factory set Bench End Play is .040 inches.